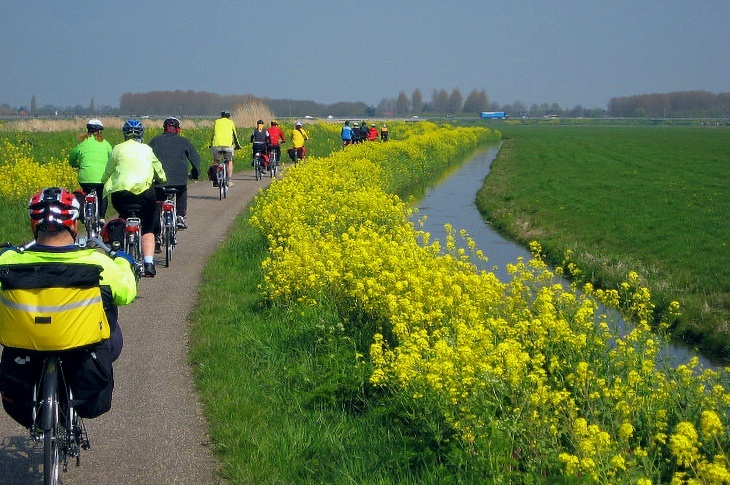 Bike and Barge Holland: Flowers and the Green Heart of Holland! A new itinerary for our Spring Flower Tour! 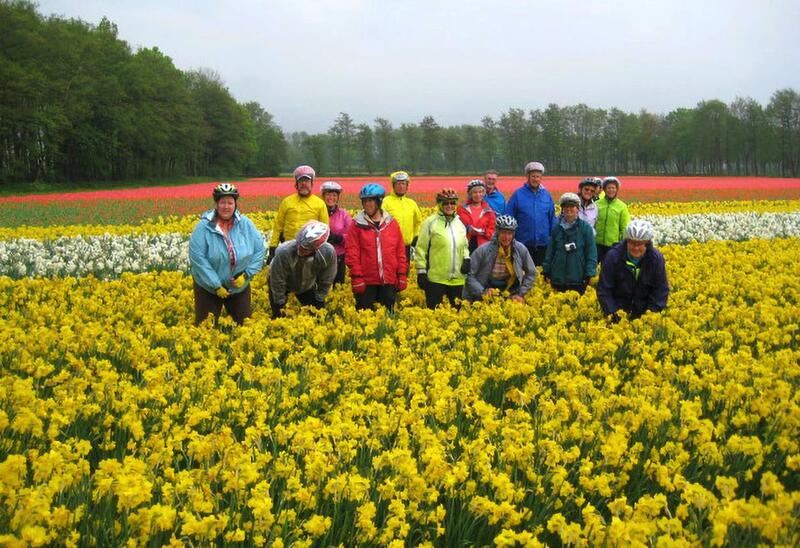 A perfect bicycle tour to see the flower fields of the renowned Keukenhof, and acres of blossoming trees adorning Hollands "Green Heart". 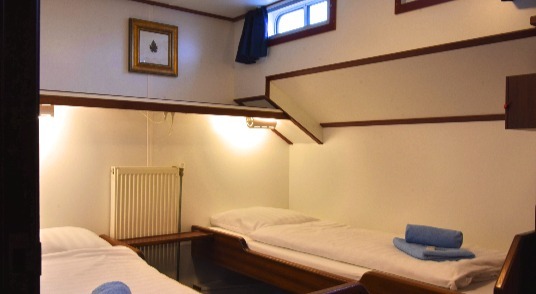 We'll harbor in the famous cities of Gouda, oldest city-Dordrecht, quaint Gorinchem - and the University town of Utrecht. Along the way we'll enjoy a working cheese farm, beautiful castles in the Utrecht forest, a real clog shoemaker, working windmills, and more! Flora sails us out of Amsterdam where we get on bikes for a short ride to tour the Rembrandt Windmill in the old town of Sloten. We arrive onboard just in time for our Welcome Dinner. After breakfast we scurry 6 miles to Keukenhof — known as the Garden of Europe. We arrive early before the crowds to spend 3 hours, taking in the spectacular grounds and Expos. 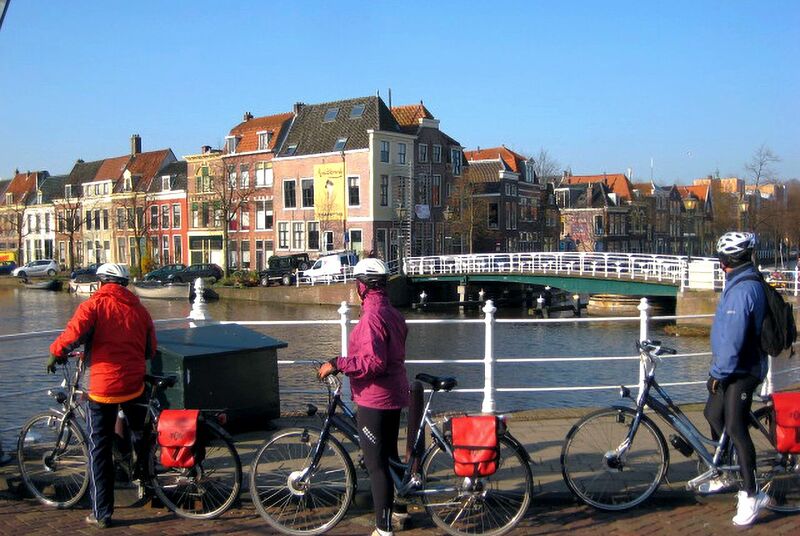 We'll enjoy a leisurely cycle to our destination —Â Gouda. With over 300 preserved buildings, we hope to see lots of the historic center and enjoy traditional Stroop Waffles made fresh while we wait! The touring and sites that you took us to were all excellent, the towns were something that you could only imagine unless you were there. 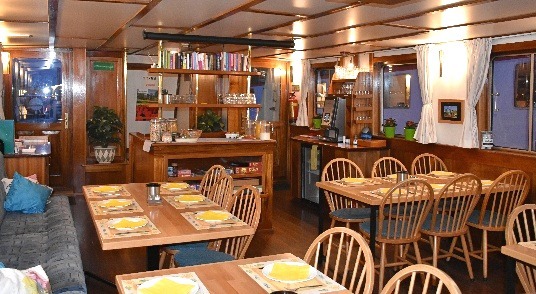 The accommodations on the boat were more than any of us could have expected and so much more. We take it easy leaving Gouda today- first with a tour of famous St. Jans Church with gorgeous stained-glass windows from 1500s. Enjoying lush polder landscapes, we stop to visit the De Jonge family run dairy and cheesmaker. 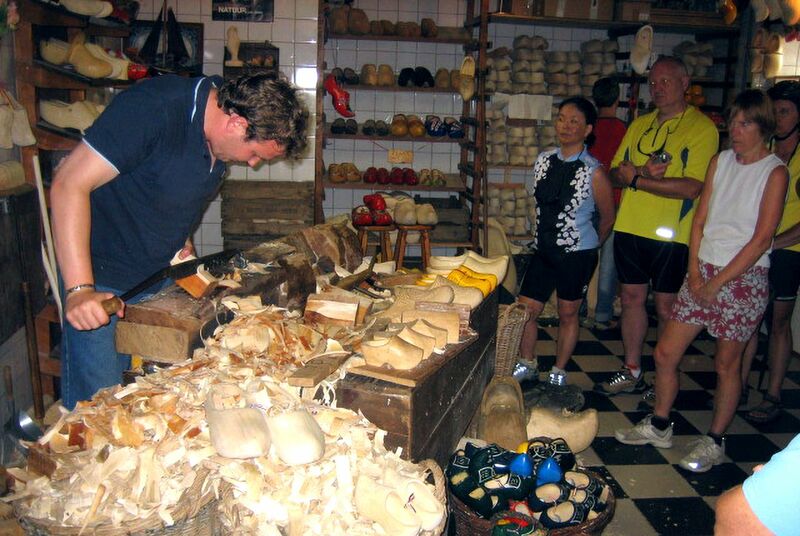 Here the owner teaches us how to make fresh Gouda cheese and we'll learn about the dairy industry in the Netherlands. We stop for photos at famous Kinderdijk — honored as a World Heritage Treasure by UNESCO in 1997. Since 1740 and preserved to this day, 19 sturdy mills were built in Kinderdijk â€” a concentration of this number found nowhere else in the world. Our day ends in Dordrecht. Over a thousand years old, Dordrecht lies on the confluence of three mighty rivers. We'll explore the city's beauty and treasured history with friend and city guide, Alfred. Today we visit traditional Dutch shoemaker, Pieter Den Dekker. We'll enjoy morning cake and coffee and he'll show us his time-honored craft. On the way we cycle through Biesbosch National Park — a green maze of rivers, islands and creeks. 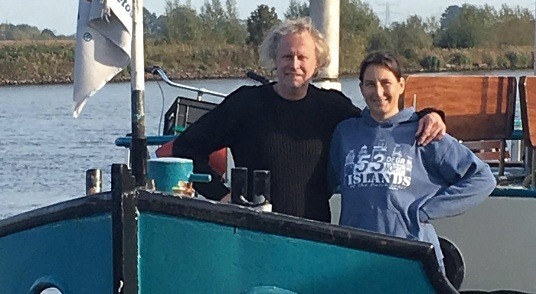 Known as one of the largest, valuable natural areas in the Netherlands, it's also one of the few remaining fresh-water tidal areas in Europe. 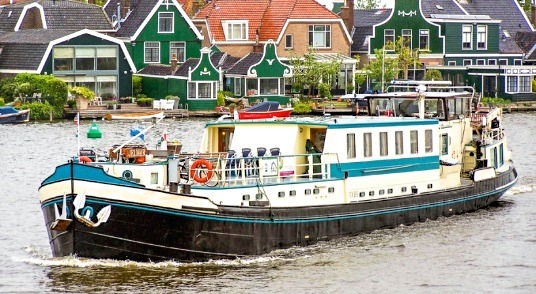 We hop the waterbus across the Waal River to Gorinchem. Part of the impressive "Fortress Triangle", Gorichem's fortifications with bastions built in the sixteenth century are still almost completely intact. We'll enjoy a drink in one of the cozy cafes on the historic city square. 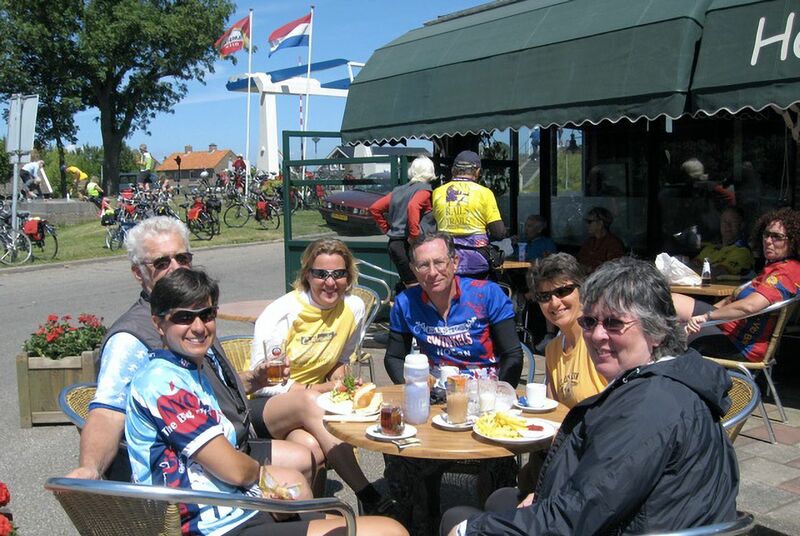 We leave Gorinchem cycling beautiful views along the dijk of the Waal River. Our route takes us through picturesque Betuwe region, famous for its fruit production. The meandering River Linge is flanked with blooming orchards and pretty villages. We will stop for a visit to one of the local farms. We break in quaint Buren — where the Dutch Monarchy holds its roots through the marriage of William of Orange and Anna Van Egmont. At the Cafe The Swaan it is Suzie's treat for coffee and delicious apple cake. Resting on the Lek River at the corner of the ancient Rhine is Wijk Bij Duurstede where time seems to stand still. We head to the vibrant city of Utrecht. Exploring the Utrecht Forest, we are amazed by beautiful 17th century estates. We pause for a tour of House Doorn. Originally a moated castle of the 14th century, Huis Doorn was bought by German Kaiser, Willem II, and converted into an elegant country house with orangerie and rose garden. As we pass the Rijnauwen castle built in the 1200s by one of Utrechtâ€™s famous families we hope to sample delicious Pannekoek (Dutch pancakes) made in their Theehuis. Weâ€™ll meander the historic city campus of Utrecht University and enjoy a guided tour. At one time Utrecht was a Roman fortress built by Emperor Claudius along the river Rhine which now is the oldest canal in the city. Utrecht is also the site, where in 1579 the seven Dutch provinces signed what became the Union of Utrecht — ousting the Spaniard rulers and declaring the Netherlands as a free land. 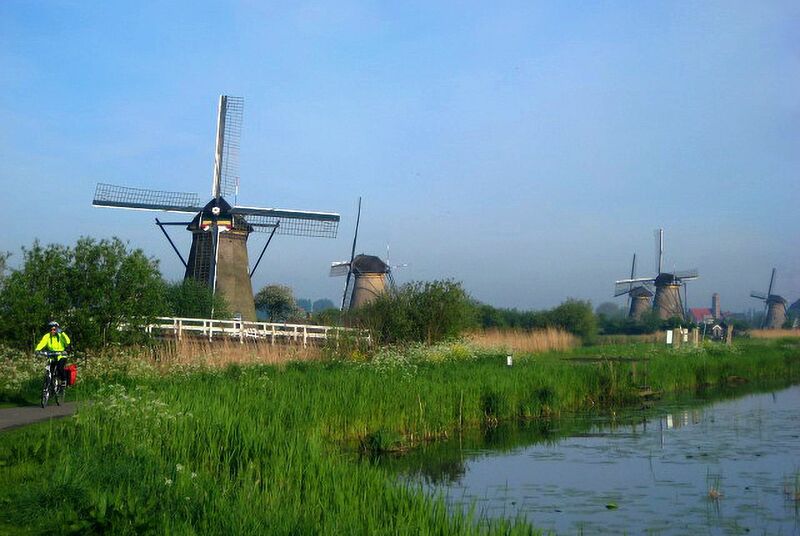 Flora sails us to the quaint town of Breukelen where we start our cycling along the picturesque Vecht River- centuries-old villages and pastures dotted by windmills, castles, and stately 17th century mansions of Amsterdam merchants used as weekend retreats. At the village of Nederhorst den Berg we'll stop for lunch in the park square and a coffee pause at the Spiegelhuis cafe. We'll cycle a quiet path following the Rhine Canal into Amsterdam. 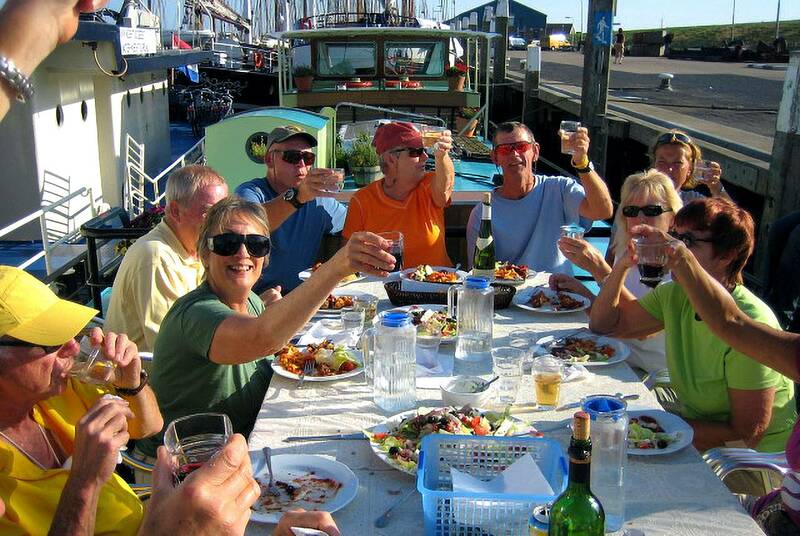 This evening we'll celebrate a fun adventure with a special Farewell Dinner. Saturday morning we will have a farewell breakfast, say our goodbyes to cycling friends and the wonderful hospitality of the Flora. We disembark at 9 a.m. for home.